Fast Track on W. Lake Street in the West Loop. CHICAGO (WLS) -- A West Loop restaurant is now in the Hot Dog Hall of Fame. Ed Tefka opened Fast Track 25 years ago on W. Lake St. He has an auto repair business and says that at the time, there weren't many good neighborhood places to eat. 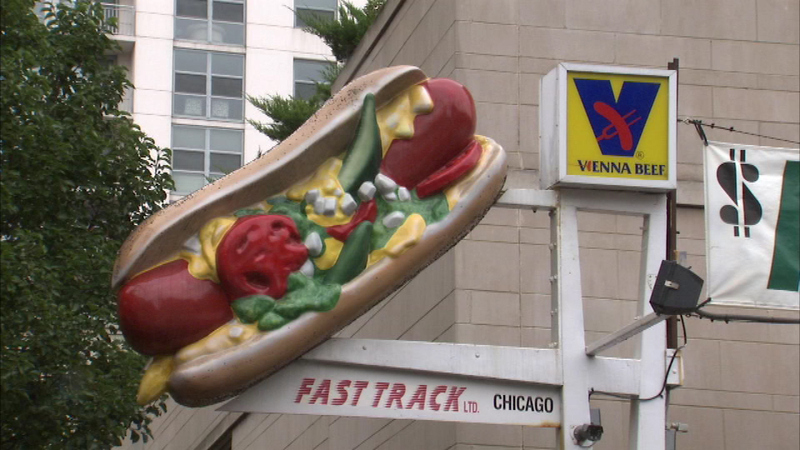 All these years later, Vienna Beef selected Fast Track for its Hot Dog Hall of Fame. Customers received free hot dogs during the lunch hour on Tuesday.